Barking from the bayou is a member of Chewy's Influencer Program. We receive products at no charge in exchange for our honest opinion. Chewy & Blue Buffalo is not responsible for the contents of this article. Bentley: “They are oven-baked to a crispy crunch that will leave you howling for more. I think it is important to stick with healthy treats even on special occasions. These bat, ghost and jack o’ lantern shapes are frightfully cute and made from the best natural ingredients. Let's change costumes and visit Mom again." You have pointed us to some delicious and healthy treats before. Can't wait to try these. We have had them before and they are ghostly delicious. Thanks for the heads up on those. Ghouls like me (snicker) can't get too many treats. Mom was going to make a Chewy order today so the timing is perfect. LOL Scary good is kinda like my obsession with Chocolate...Death by Chocolate. Once we heard pumpkin and cinnamon, you HAD us!!! Pumpkin treats are our favorite. 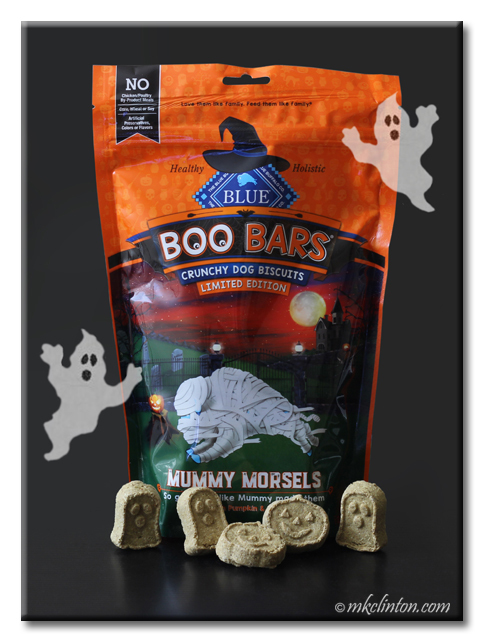 We hope we can trick Mom into some Boo Bars too!!! BOL on the costumes, guys! Those treats look yummy! 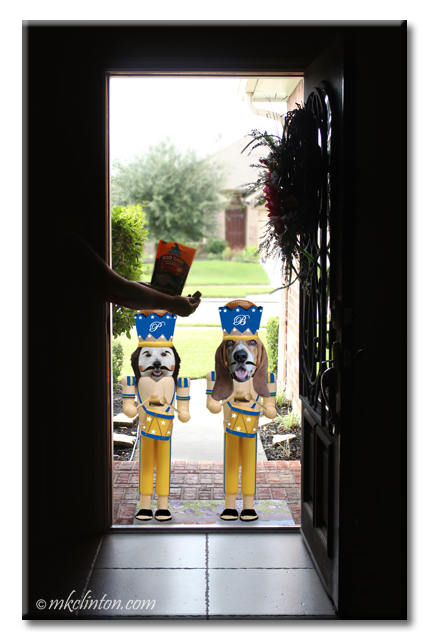 We are big fans of Boo bars AND of you two dressed up as nut crackers BOL!! Nice review. Those treats look fun. That was fun! You boys are bound to get LOTS of Boo Bars for Halloween with those awesome costumes!! 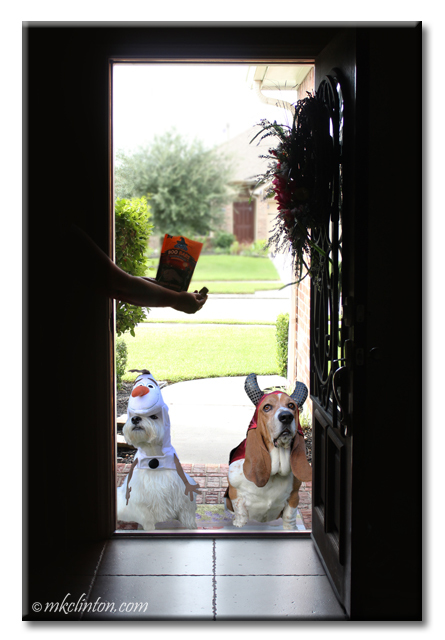 Well what clever pups you are to test out your trick or treat skills! What a "spook"tacular review! My Huskies love those Boo bars! Ha Ha! Howl - oween! Good one! So all of this time I thought Howl- oween was a holiday for dogs to bark at everyone who came to the door and scare them. At our house it's...kids talking & laughing, ding dong...WOOF! Scream!!! Wait, come back. We have candy! I've been missing out! 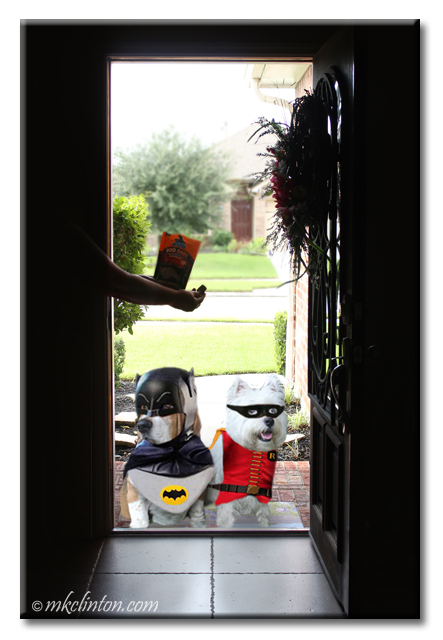 Gotta get some cool costumes like you two and go door to door for treats!